Using groundbreaking nanotechnology, the Rezenerate Wand™ delivers maximum absorption of professional serums which target fine lines, wrinkles, blemishes, hyper pigmentation, rough skin texture, and age/sun spots. Get maximum results without the pain and invasiveness of a medical procedure. You are required to refrain from waxing 72 hours prior to all Advanced Facial Treatments. 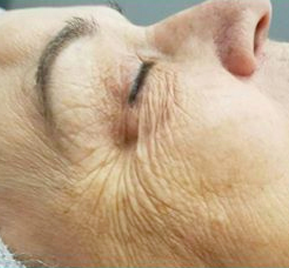 The use of retinols MUST be stopped 72 hours prior to this treatment. Aftercare instructions are given to all clients and are expected to be followed to avoid post hyper pigmentation and photo damage to the skin. Rezenerate™ Cosmetic Facial Treatment: $125. Package of 3 $350. 70 minutes. 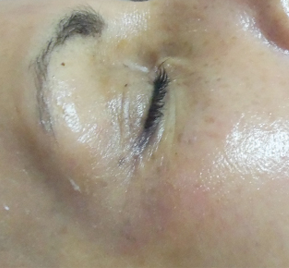 Rezenerate with Peel Treatment: $175. Package of 3 $450. 1 month aftercare kit is included with this treatment. Begin with a consultation. The Rezenerate™ Facial System allows for the targeted products/serums to reach maximum efficacy. The intended results include typically smoother, firmer and more youthful looking skin. Rezenerate™ Facials are performed in a safe and precise manner with the use of sterile components. The Rezenerate™ Chip creates millions of microscopic channels in the top most layers of the stratum corneum, thereby making it ultra absorbent for product. Using Rezenerate™, serums will absorb 7 to 10 times more effectively to the problem areas thereby accelerating results. Is Rezenerate™ right for you? If you are concerned with painful procedures, then the Rezenerate™ cosmetic treatment is a powerful alternative. This precision cosmetic tool is designed to treat fine lines, wrinkles, hyper pigmentation, blemishes, rough skin texture, and sun/age spots.